1100 +/- ac year around recreational tract with timber income in Caldwell Parish, LA This timberland tract in northern Caldwell Parish will provide you, your family, friends, and clients year around use. 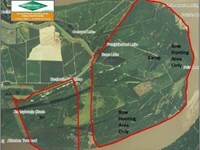 It has diverse topography, hunting, private lake, river access, a turn-key camp, and on-going timber income. The deer and turkey hunting will be above average. The owners 5 years of herd management and improving the habitat, along with thousands of acres of adjoining timberland, will give you lots of opportunities. Food plots, feeders, and stands are in place. In addition to deer & turkey, you will see hogs, small game, and have opportunities for wood duck shoots in the sloughs. The approx. 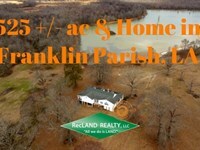 4-acre stocked and managed lake is the signature part of this tract. 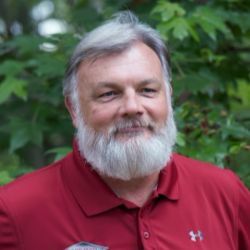 Not only will you catch bass and bream, you could build a custom camp on the high ridge overlooking the lake, a food plot, and the wooded draws. There is underground electricity and a water well already in place to help you get this project started. A small pump house / storage building and a dock are also in place. Speaking of the dockthe party barge you see tied there goes with the property. Dont want to build a new camp Theres a turn-key camp and metal barn on the southwest side of the tract. The camp is a comfortably furnished 3 bedroom & 2 bath mobile home with reinforced framing. The metal barn is 50x30 on a concrete slab with an additional 50x30 covered area in the front and a smaller covered area in the back for your equipment. All of this is behind a locked gate, with all-weather rock road, and has water and electricity. The camp is just 25 minutes from restaurants and shopping at I-20 in West Monroe. The timber is primarily managed pine plantation of various age classes with some hardwood in the draws and transition areas. Pine ages range from 2-3 year old replanted to 12-14 year old pulpwood to logs. The natural hardwood is also in all sizes with several spots containing large white oaks. Dont forget about the fishing shack and access to the Ouachita river from a sand boat launch at the northeast corner of the tract, the miles of interior roads and trails, the metal gates on all the roads for security, and all the feeders and deer stands that remain on the property. Its a turn-key set up. 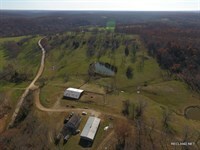 Location Situated just east of Hwy 846 on Tin Top Road Minerals Seller owns no minerals on most of the tract. What he may own is reserved. Asking Price $3,025,000 Note Buyers agents see commission information in the footer of the RecLand site. 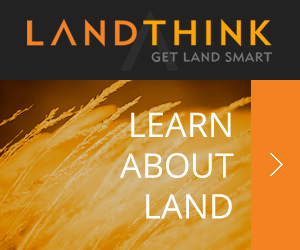 Call Coy Purkey, Land Agent, at or see the RecLand site for all our listings and aerial mapping. Aerial Maps can be seen on all our listings at the RecLand site. When calling broker, please say, "I found your listing 1100 Ac, Year Around Recreational on FARMFLIP."